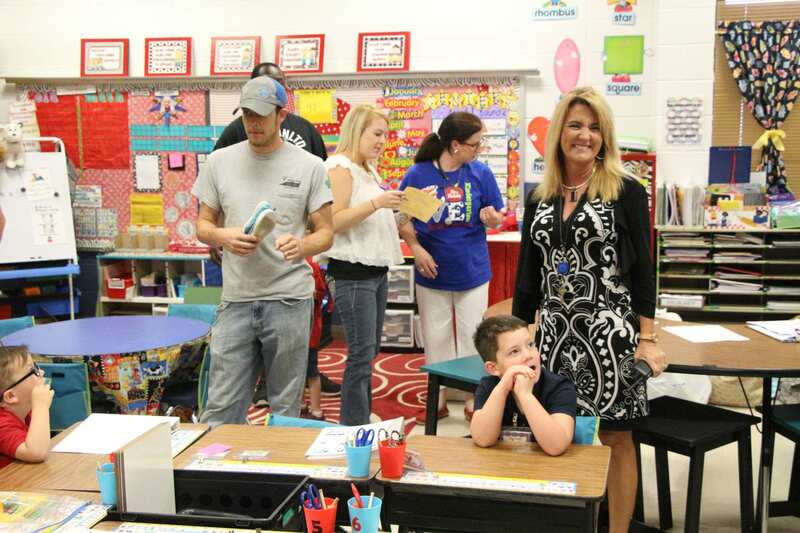 The first day of kindergarten marks a new beginning for students and parents. 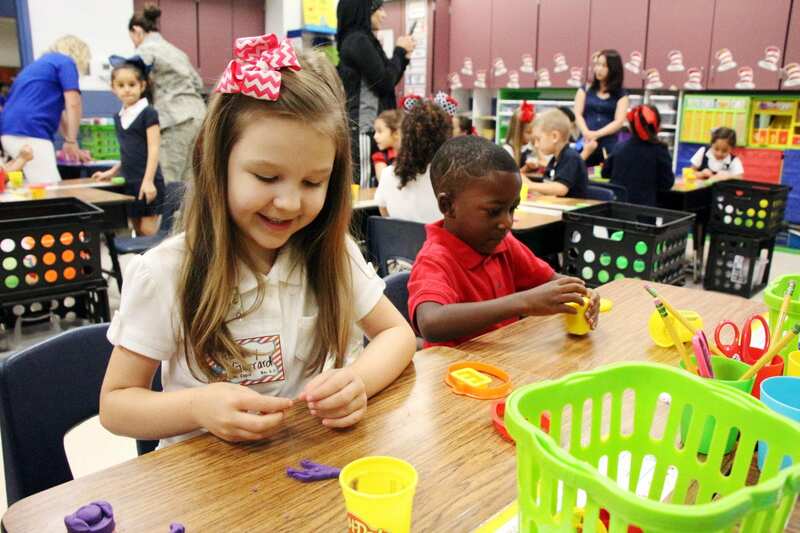 Bossier Schools welcomed the Class of 2029 Monday, their first official day of class. The day was filled with excitement, jitters and even a few tears. 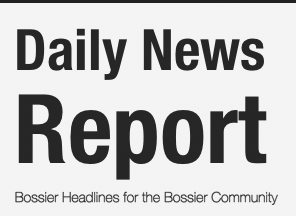 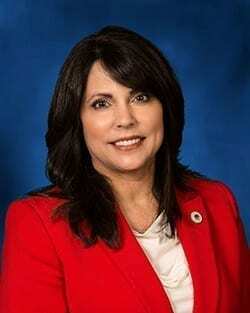 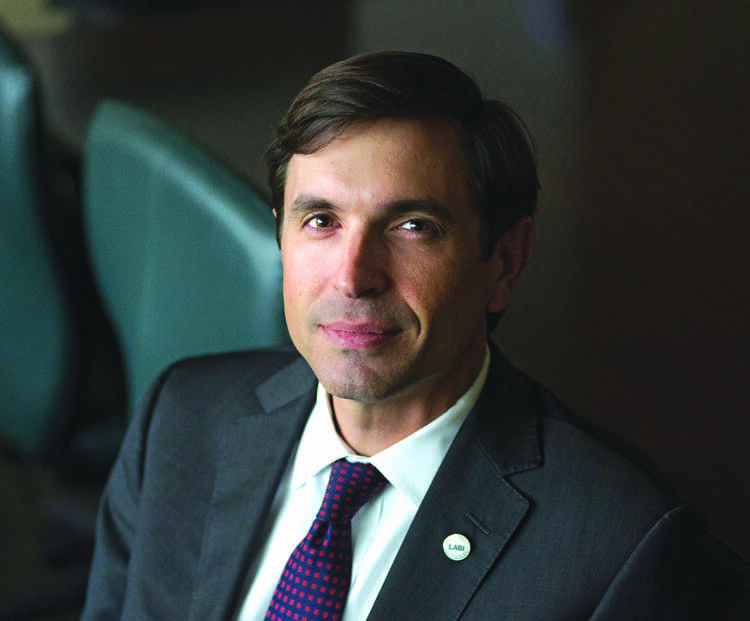 These students join the more than 22,000 students attending Bossier’s public school system. 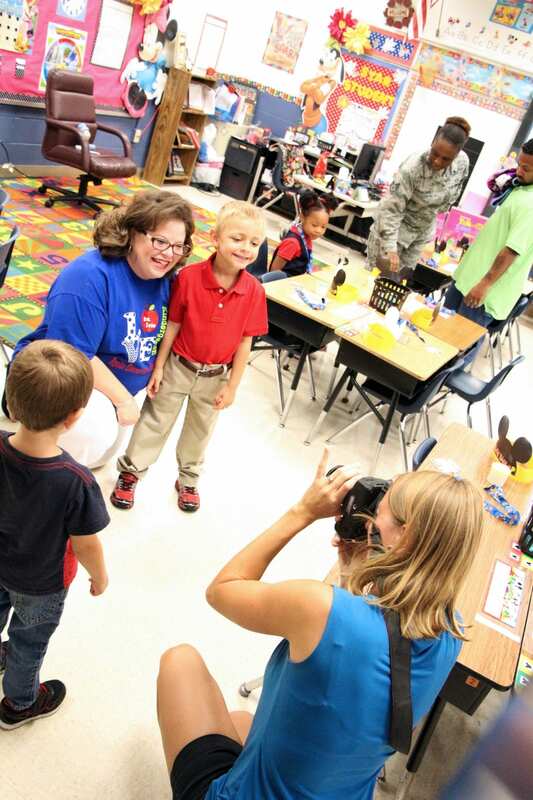 Photo by Amanda Simmons/Press-Tribune | Brittany Scott takes a photo of her son, Clinton Scott, with his teacher, Mrs. Ivie, on the first day of school at Apollo Elementary. 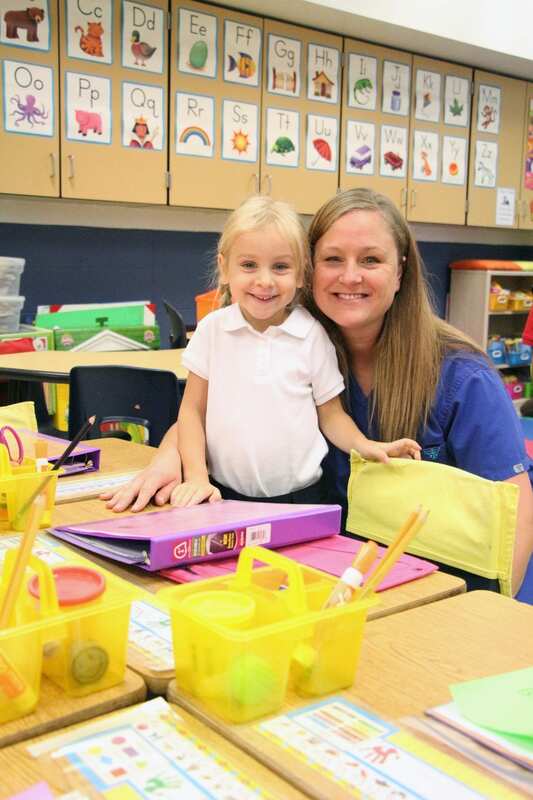 Photo by Amanda Simmons/Press-Tribune | Natalie Slayter and her mom, Tanya Slayter, pose for a picture on the first day of school for kindergarten students at Apollo Elementary. 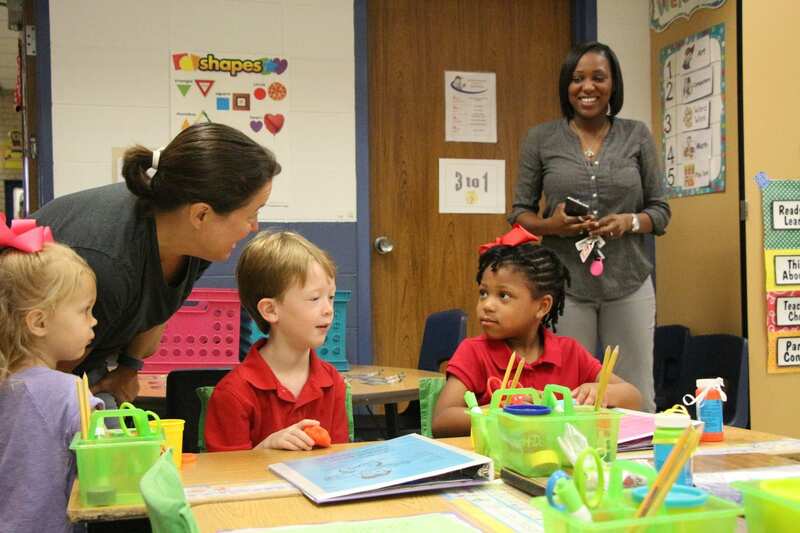 Photo by Amanda Simmons/Press-Tribune | Noah Vining says hello to his new classmate, Mariah Brown, in Mrs. Guest's class at Apollo Elementary. 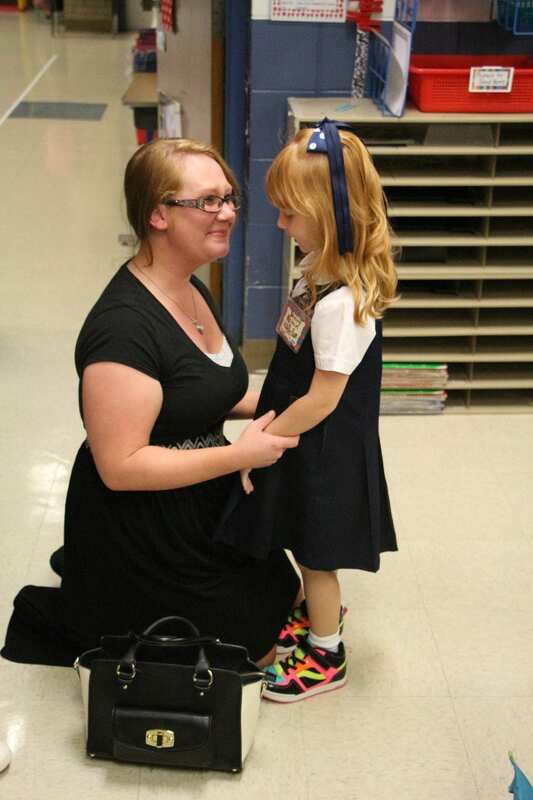 Photo by Amanda Simmons/Press-Tribune | Parents say their final goodbyes and take photos before school at Apollo Elementary. 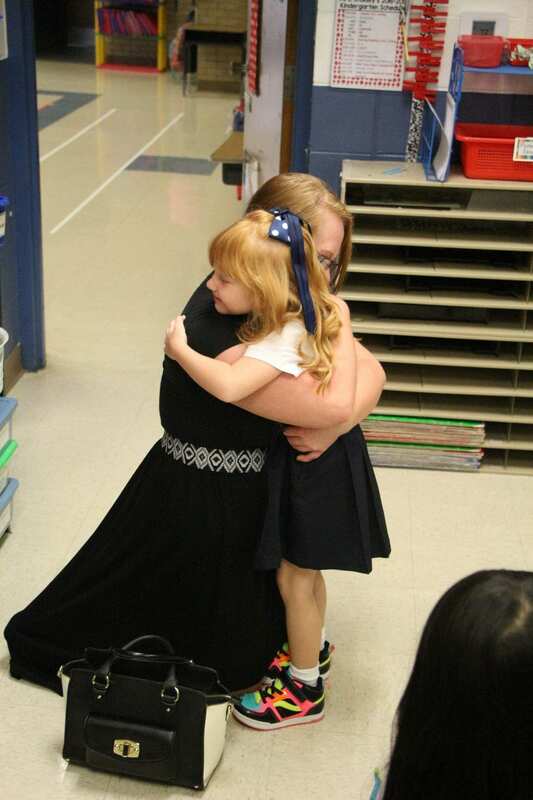 Photo by Amanda Simmons/Press-Tribune | Misty Nelson says a tearful goodbye to her daughter, Shelby Nelson, on her first day of kindergarten at Apollo Elementary. 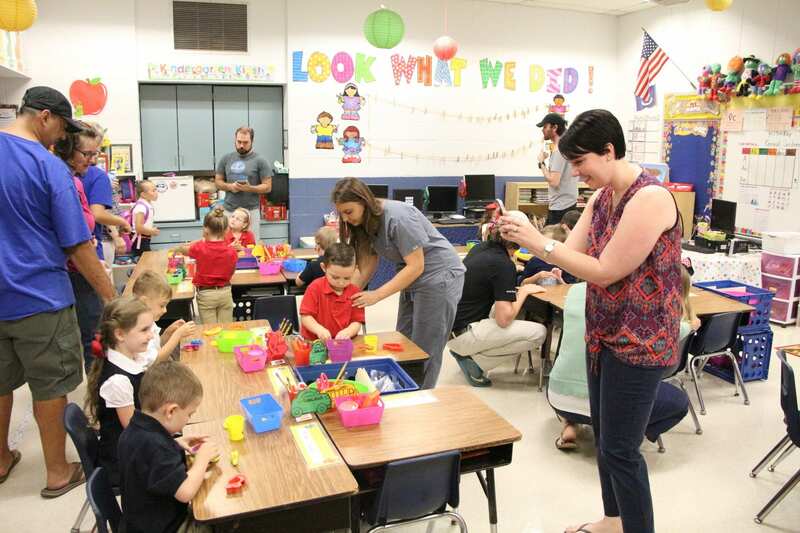 Photo by Amanda Simmons/Press-Tribune | Apollo Elementary Principal Laura Lee Leflett checks in with a kindergarten class on their first day of school. 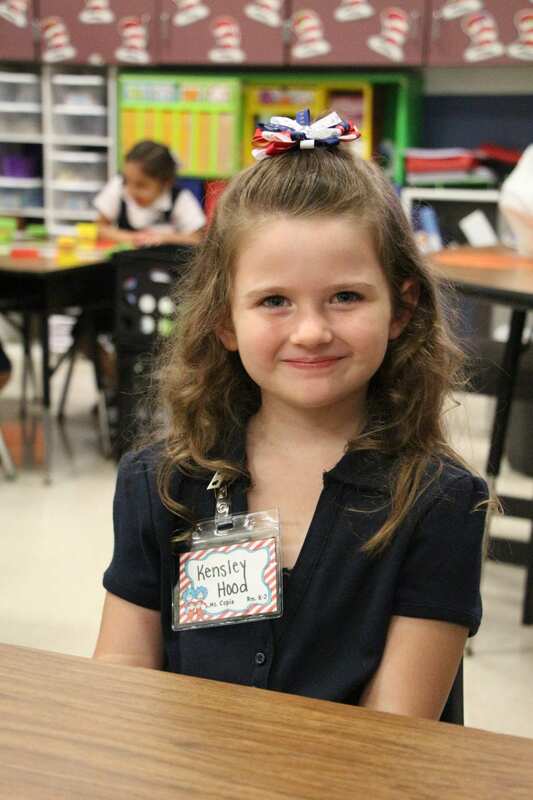 Photo by Amanda Simmons/Press-Tribune | Kensley Hood was all smiles as she waited for her first day of school to start.